We are thrilled to announce two new additions to the MG Press catalog, coming in 2017! Help us celebrate and support these great authors! Pre-order is available for just $1! These stories peer into the lives of those at the margins – the broken, the resigned, the misunderstood. 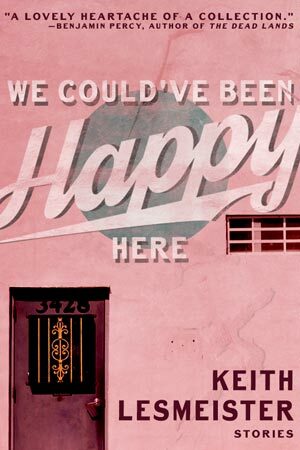 At turns hopeful and humorous, tender and tragic, We Could’ve Been Happy Here illuminates how we are shaped and buoyed by our intimate connections with others — both those close to us, and those we hardly know. In A Woman Is a Woman Until She Is a Mother, Anna Prushinskaya explores the deep life shifts of pregnancy, birth and motherhood in the United States, a world away from the author’s Soviet homeland. Drawing from inspirations as various as midwife Ina May Gaskin, writer and activist Alice Walker, filmmaker Sophia Kruz and frontierswoman Caroline Henderson, Prushinskaya captures the inherent togetherness of womanhood alongside its accompanying estrangement. She plumbs the deeper waters of compassion, memory and identity, as well as the humorous streams of motherhood as they run up against the daily realities of work and the ever-present eye of social media. How will I return to my life? Prushkinskaya asks, and answers by returning us to our own ordinary, extraordinary lives a little softer, a little wiser, and a little less certain of unascertainable things.